Minimalist shower door, available in three sizes. Sadie has a 6 mm Active Shield-coated tempered glass that is easy to maintain and clean. SKU: SCHD080. Category: Shower cabins. Adjustable with in 4 cm. 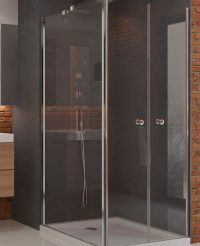 The curved spacious shower corner, available in different sizes and at two heights. 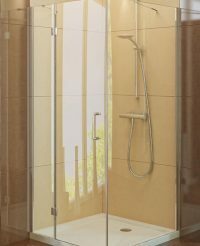 Shower glass is available in two colors. Minimalist square shower corner with two doors. 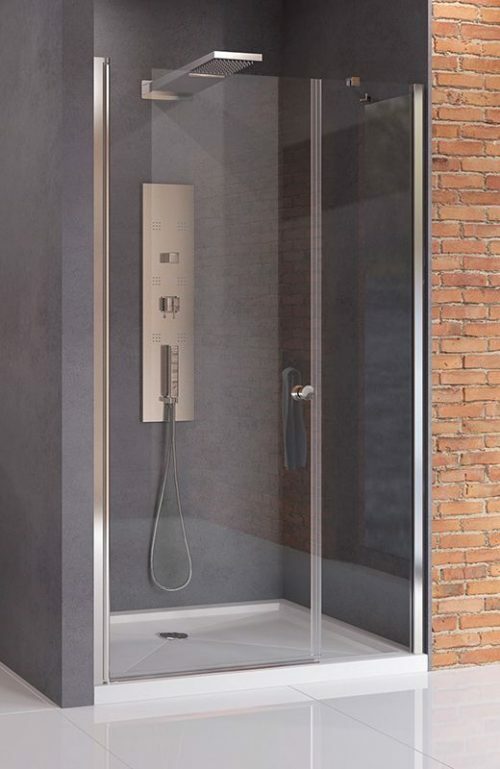 The shower corner has a bright nano-coated glass. Minimalist square shower corner which is available in right- and left-handed. The shower corner has a bright nano-coated glass. Minimalist rounded shower corner which has two doors. The shower corner has a bright nano-coated glass.